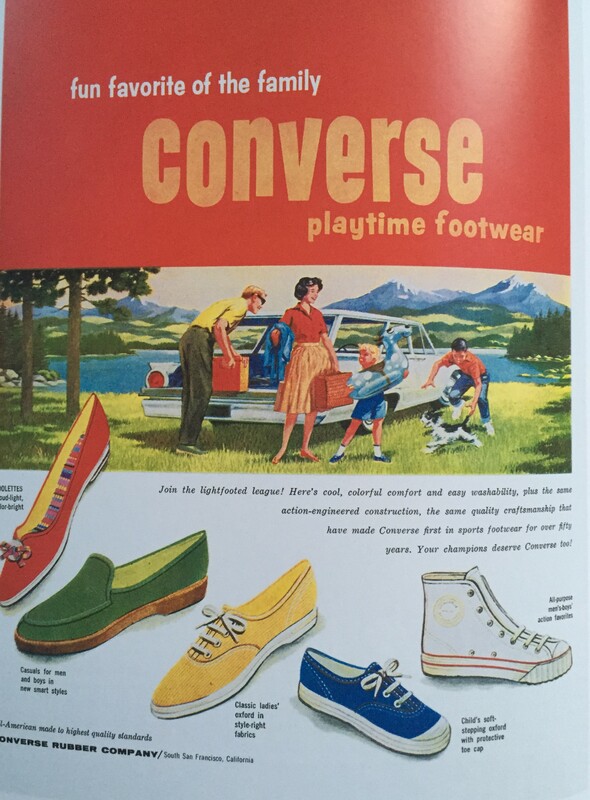 Fashion Ads From Days Gone By – What is Style? Taschen created the book “Ads of the 20th Century – Fashion” that graces my bookshelf at home. They publish lots of fashion inspired both hard and soft-back books. I love looking through the colourful images, that are glossy and inspiring. Of course, like many of my books, I buy them purely for the pictures as they look perfect dotted around my house. A splash of fashion in every room looks good to me. In the change rooms at my local Myer are framed prints of a past advertising campaign – women’s and girls “summer frocks” from around the 1930’s. Cute and stylish options! Always an interesting way to pass a few minutes if waiting for a free cubicle! What a nice touch and something to look at while waiting. Mum still has some patterns from many years ago, and I still remember her busy sewing clothes for me and Kathy. Somehow the boys didn’t wear anything home made!! I love the brassiere and control girdle. Remember Bridget Jones’s “mummy” pants? Love that movie and those ‘mummy pants’ remind of those rompers we had to wear at Intermediate School. Lovely thick elasciated waist!! in beautiful pooh brown ! !